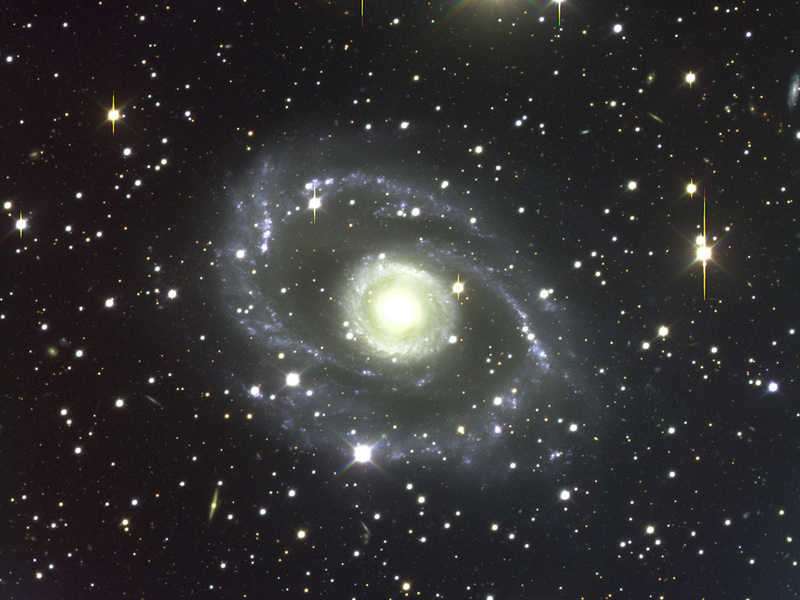 ESO 269-57 is a spectacular spiral galaxy of symmetrical shape in the southern constellation Centaurus and belongs to a well-known cluster of galaxies seen in this direction. The galaxy received this designation when it was catalogued during the first ESO Survey of the Southern Sky in the 1970's. This photograph shows the complex structure of ESO 269-57, with an inner "ring", of several tightly wound spiral arms, surrounded by two outer ones that appear to split into several branches. Many blue and diffuse objects are visible — most are star-forming regions. The galaxy type is Sa(r). The velocity is just over 3,100 km/sec, indicating a distance of about 155 million light-years. 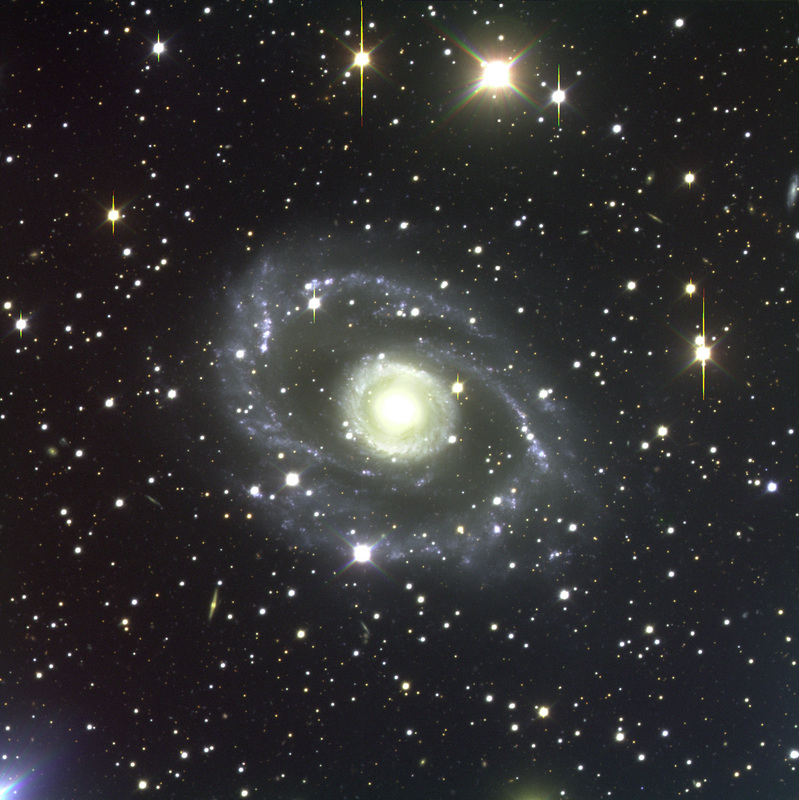 It extends over about 4 arcmin in the sky, corresponding to nearly 200,000 light-years across. 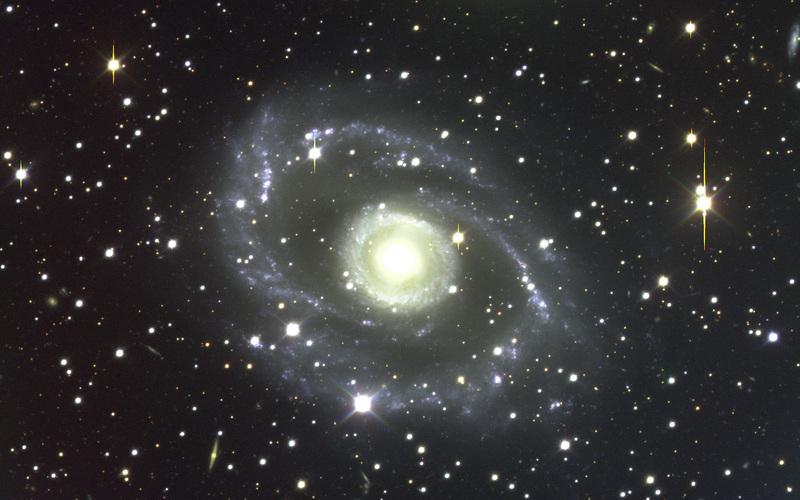 Many other galaxies are visible in the background. In this and the other photos, the vertical lines extending from the images of some bright stars result from a "bleeding" effect in the CCD detector where the pixels are completely saturated. This three-colour composite (BVR) was obtained with VLT ANTU and FORS1 in the morning of March 27, 1999. The full field measures 6.8 x 6.8 arcmin 2. North is up and East is to the left. Position (Dec): -46° 26' 14.73"